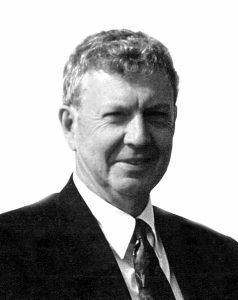 James L. Baird was born in Midland, Mich. on October 28, 1938 to George and Virginia (Chase) Baird who predeceased him in 1985 and 1998. He graduated with life-long friends from Caro High School before serving with the United States Marine Corps and attending Bay City (Delta) College. His 20 years with the Michigan State Police included assignments from Trooper in Grand Haven, L’Anse and Flint to ES Team (SWAT) to Detective First Lieutenant in the Criminal Investigation Division. While in the MSP, Jim graduated from LCC and MSU, creating a Spartan fan who always supported the Alumni Association and Ralph Young Fund. He hunted and fished from Northern Labrador to Costa Rica while serving Eaton County in several positions; including chairman of the Planning Commission for 13 years. His private investigation company thrived due to the trusted efforts of several MSP retirees, and provided him with sufficient funds for considerable travel and entertaining friends on Anna Maria Island. Jim leaves behind the love of his life, his wife, Jeanne; his children, Leanna, Dianna, and Joanna; step-daughters, Andrea and Kimberly; grandchildren, Jon Eric (Yo The Doof! ), Madalyn, Gunnar, Kaitlyn, and Jacob; step-grandchildren, Tyler and Taylor. He is predeceased by his son, Michael Baird. He leaves this world with many friends, many laughs, not many things not done, and few regrets. Don’t cry because it’s over, laugh because it happened. Two memorial services are planned. The first was held at Terra Ceia Manor in Bradenton, Fla., at noon on Wednesday, January 30, 2019. The second will be held at Pray Funeral Home in Charlotte, at 12:00 noon on Saturday, February 9, 2019. If desired, the family suggests memorial contributions to Wounded Warriors, Crosswalk Teen Center in Charlotte, or Eaton Community Palliative Care. Friends and family are encouraged to share memories of Jim on his tribute page at PrayFuneral.com. “Bro” Dennis W. Watson, 67, of Mulliken, passed away January 16, 2019. He was born April 30, 1951 in Gallipolis, Ohio, to Eugene and Texa (Bailey) Watson. Bro was a veteran of the Vietnam War and was given military honors at the Barker-Leik Funeral Home in Mulliken. A flag was presented to his wife. He was retired from the GM paint repair department after 30 years of service. 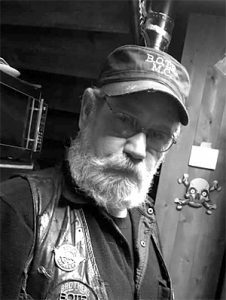 Bro was a past President and original member of the Brothers of the Ring Motorcycle Club in Mulliken, and Co-Chairman of Motorcycle Clubs of Michigan. He loved hunting with his sons and friends, mushroom hunting, driving truck for Mike McCormack, and spending time up north in the snow with his long time friend Bill Priesman. His first love was his “Ole Lady,” his ‘77 dresser, “Harley.” Mostly he liked helping out anyone and everyone he could. Bro is survived by his wife Kimber (McPeck) of Mulliken; three sons, Derek (Cynthia) Watson of Virginia, Caleb (Dacia) Watson of Mulliken, and Dustin (Andrea) Hatt of Grand Ledge; one step-daughter, Tiffany Macias (Watson); five grandchildren, Tanner Yanz, Brody Chesebro, Alison Hatt, Charlotte Watson and Myles Watson; two brothers, Darrell Watson of Lyons and Terry (Cherie) Bailey of Portland; one sister, Pam Admire of Mulliken; sister-in-law, Kari (Ed) Montgomery of Kalamazoo; plus nephews and nieces and a large family of MCM Brothers and Sisters. A “Celebration of Life” will be held at a later date. Dereatha Eleanor Barlond, 92, of Marshall passed away January 27, 2019 at Maplewood of Marshall Assisted Living Facility. Dereatha was born on July 15, 1926 in Detroit to Albert and Sarah (Byrne) Hansen. She graduated from Olivet High School, and after working briefly at Michigan State University, Dereatha married Doug Barlond on February 1, 1947 in Charlotte. They had six children and shared 67 years together before Doug’s passing in May of 2014. Dereatha was a farm wife who devoted her time to raising the children, gardening, and baking for her family. She was involved with Boy Scouts and 4-H in Lee Township. Dereatha also worked at Albion Public Library as a library assistant, retiring in 1991. Dereatha enjoyed sewing, cross-stitching, and crafting. She loved celebrating everyone’s birthdays and very much enjoyed her grandchildren. After retiring, she sang in the choir at St. Mary’s Catholic Church in Marshall and also enjoyed watching the Detroit Tigers and Notre Dame football. Dereatha is survived by her children, David (Donna) Barlond of Marshall, Bruce (Marty) Barlond of Dimondale, Fla., Brian (Regena) Barlond of Maryville, Ill., Teresa (Jeff) Fischer of The Plains, Ohio, Mark (Renee) Barlond of Marshall, and Laura Barlond-Maas of Olivet; 14 grandchildren; and seven great-grandchildren. She was preceded in death by her parents, Albert and Sarah Hansen; and husband, Doug Barlond. Visitation took place at the Kempf Family Funeral and Cremation Services, 723 Old US 27 North, Marshall Chapel on Friday, February 1, 2019, from 5 to 8 p.m., with family present to greet friends at that time. A funeral service will be held at the funeral home on Saturday, February 2, 2019 at 11 a.m. Dereatha will be laid to rest in Bosworth Cemetery following the service. Memorial contributions are requested to the Albion Public Library. Please leave the family a personal message and sign the online guest book at kempffuneralhome.com. 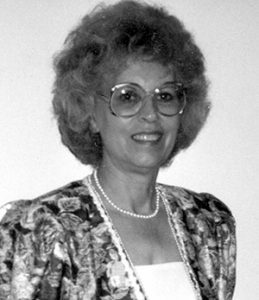 Eva M. Menendez died Tuesday, January 29, 2019. She was the beloved wife of the late Kenneth, dear mother of Diane McNeil (Thomas), Steven Menendez (Hope) and Mark Menendez (Melody), and dearest grandmother of eight grandchildren and 10 great-grandchildren. Family will receive friends Sunday, February 3, 2019, from 1 to 4 p.m. at A.J. Desmond & Sons (Price Chapel), located at 3725 Rochester Road in Troy (between Big Beaver and Wattles. Funeral Services will be held Monday, February 4, 2019, at 11 a.m. at the funeral home. Visitation begins at 10 a.m. In lieu of flowers, memorial tributes may be made to Alzheimer’s Disease Research, Lab Research Only, 22512 Gateway Center Dr., Clarksburg, MD 20871 or Sensations Memory Care, 511 E. Shephard St., Charlotte, MI 48813. Terry Lee Gibson Sr., 73, of Nashville, passed away Tuesday, January 29, 2019, at Sparrow Hospital in Lansing with his family by his side. He was born November 3, 1945, in Alum Creek, W.V. Terry was a devoted husband, father, and grandfather. He always saw to it that his family was well taken care of. Terry honorably served his country in the United States Army during the early 1960s. Terry loved woodworking and was especially fond of working with oak. He could often be found in his shop working on his latest project. He also enjoyed spending time outdoors either hunting or fishing. Terry retired from GM in Lansing after 43 years of service. He is survived by his children, Terry (Tera) Gibson Jr. of Charlotte, Amanda Gibson of Nashville; grandchildren, D.J. Harmon, Anastasia Harmon, Terry Gibson III, and Lillie Gibson; siblings, Rick Kirk, Tim (Nikki) Kirk, Phil Kirk, Hank (Terri) Kirk, Dan (Lynette) Kirk, Larry (Hope) Kirk, Dennis (Cindy) Kirk, Tammy (John) Smith, Peggy Yurkunas; and brother-in-law, David (Monique) Baczewski. Terry was preceded in death by his mother, Ruby Kirk; step-father, Hank Kirk; wife, Rosalie Gibson; daughter, Pamela Gibson; brother, Doug Kirk. Funeral services will be held on Saturday, February 2, 2019, at 1 p.m. at Burkhead-Green-Kilgo Funeral Home, with Pastor Randy Royston officiating. The family received friends on Friday, February 1, 2019, from 5 to 8 p.m. at the funeral home. Interment will take place at West Carmel Cemetery. Those desiring, may make contributions in Terry’s honor to the American Diabetes Association, 2451 Crystal Drive, Suite 900, Arlington, VA 22202. 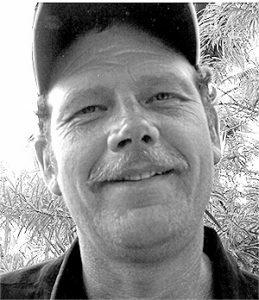 To view Terry’s obituary online or to leave a condolence for the family please visit burkhead-greenfuneralhome.com. Mary Ann Marshall, 82, of Charlotte, passed away Wednesday, January 23, 2019, with her family by her side. She was born April 9, 1936 in Marshall, the daughter of Levi and Effie (Guyton) Shreve. Mary married James Herbert Marshall on June 9, 1973, in Potterville. She enjoyed creating beautiful paintings and doing cross stitch. Mary was always ready for a good game of cards or shuffle board. She retired from GM in Lansing after many years of service. Mary is survived by her children, Lynn Goostrey, Ronald (Laura) Goostrey, Karen (Randy McConnel) Morehouse, Lori (Jim) Audie; step-children, Sheri (Gary) Kramer, Cindi Marshall, Wendi Houserman; 12 grandchildren; 13 great-grandchildren; and sister, Anita (Jay) Russell. She was preceded in death by her parents; husband, James H. Marshall; siblings, Don Shreve, Jack Shreve, John Shreve, Carol Sanders, and Jessie King; step daughter, Sandi Marshall; and step son-in-law, Patrick Houserman. In keeping with Mary’s wishes, cremation has taken place and a memorial service will be held at a later date. Those desiring, may make contributions in Mary’s honor to Eaton Community Palliative Care, 2650 S. Cochran Rd., Charlotte, MI 48813. 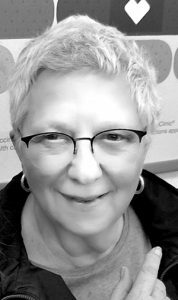 Janice Sue Campbell, 81, of Charlotte, passed away Saturday, January 19, 2019, at Eaton Community Palliative Care with her family by her side. She was born June 15, 1937, in Lansing, the daughter of Ross and Zella (Miller) Rinkle. 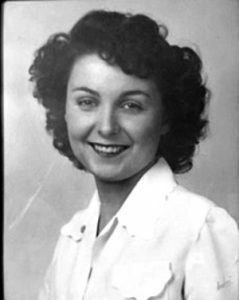 Janice was raised in Dimondale and graduated from Dimondale High School in 1955. In 1965, she married John J. Campbell. Together they raised three children in the Dimondale community. She was a much-loved wife, mother, and grandmother and friend to many. She attended Calvary Baptist Church, where she was recently baptized upon the confession of her faith. Janice is survived by her children, Anthony Campbell of Okemos, Tina Robinson of Mason; grandchildren, Jonathon Campbell, Brooks (Alisa) Robinson, Christopher (Rachel Eliades) Robinson Jr.; great-grandson, Theo Robinson; special friendships among her church family, retirement community and lifelong friends include Bob McClure, Nancy Hoinski, Chris Robinson Sr., Kay Stuber and Jeff Stevens. She was preceded in death by her parents; husband, John J. Campbell; daughter, Traci Bissell and sister, Mercedes Hammond. A memorial celebration of life will be held at Calvary Baptist Church in Charlotte with Pastor Mark Booth officiating on Saturday, January 26, 2019, at 11 a.m. with a luncheon following. Those desiring, may make contributions in Janice’s honor to Calvary Baptist Church, 825 N. Cochran Ave., Charlotte, MI 48813. To view Janice’s obituary online or to leave a condolence for the family please visit burkhead-greenfuneralhome.com. Mr. John Charles Van Vleet, 54, of Charlotte, passed away at his home, surrounded by family and loved ones. John was born and raised in Charlotte. He began working on the Roberts’ hog farm as a boy. He was a foreman and worked at Clark Foundation 18 years before venturing into business, starting Van Vleet Concrete Poured Walls. He later drove tanker truck for Butternut Creek transfers. John was a member of the American Legion and AF Gold Prospectors Association of America. John leaves behind his loving parents, Robert and Donna Van Vleet; wife, Marjorie; sisters, Kathy Reeser and Diane Lake; son, Justin Van Vleet; daughter, Niki Swain; two granddaughters, Brianna and Brinsleigh; as well as many loving nieces, nephews and devoted friends. John is preceded in death by his brother, “Bobby” Robert Loney Van Vleet. 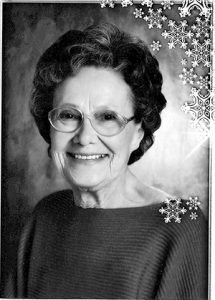 Betty Lee Overmyer of Eaton Rapids, the coolest lady that ever lived in Eaton Rapids, passed away January 22, 2019, at the age of 83. Betty was born in Washington, Penn. on September 22, 1935, the daughter of Angelo and Minnie (Bongiovanni) Colosi. She was a member of Eaton Rapids American Legion Auxiliary 15, the 3rd district president of Michigan American Legion Auxiliary and a member of Lansing 40 & 8. Betty was a self-taught and self-employed tailor and cake decorator. Betty was a friend to everyone she met and will be greatly missed. 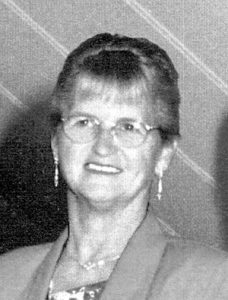 Betty is survived by her daughters, Ginger (Dave) Boerkircher of Nebraska, Sherri (TJ) Caster of Oklahoma and Leann Owen of Charlotte; sons, Leonard Overmyer III of Grand Rapids, S. Bear (Cheri) Overmyer of Ohio and Jack Overmyer of Eaton Rapids; son-in-law, Richard Owen of Eaton Rapids; sisters, Beatrice Brownlee of Pennsylvania and Angela “Cookie” Colosi of Arizona; brother, Robert (Lana) Colosi of Buckley; eight grandchildren; two great-grandchildren. She was preceded in death by her husband, Leonard G. Overmyer in 2002 and daughter-in-law, Jill Overmyer in 2014. No services are planned at this time. Those desiring, may make memorial contributions to the American Legion Post 42, 1000 Lawrence Hwy., Charlotte, MI 48813. 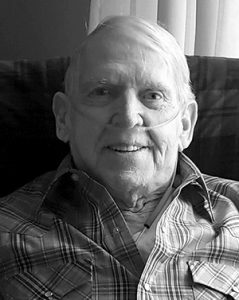 Richard “Red” A. Elliston, 78, of Charlotte, passed away Saturday, January 12, 2019, at his home. He was born August 26, 1940, in Pennfield Township in Calhoun County, the son of Richard and Florence (Corwin) Elliston. On December 23, 1977, he married Irene M. Nitz. Red was an extremely hardworking man. He retired after many years of service from GM in Lansing. When he wasn’t working at GM, he also installed siding and windows to make a few extra dollars. He enjoyed bowling, fishing, and singing karaoke in his free time. Red is survived by his wife of 41 years, Irene; children, Kristin (Ed) Aldaco of Elkridge, Md., Eric Elliston of Lansing; step-daughter, Melissa Hillard of Charlotte; three grandchildren; and siblings, Butch (Judy) Elliston and Dorothy Pifer. He was preceded in death by his parents; and siblings, Glen Wagner, Myrtie Munchbach, and Kay Hayes. A memorial service was held Tuesday, January 15, 2019, at Charlotte Assembly of God, with Pastor Jordan Humbarger officiating. Those desiring, may make contributions in Red’s honor to Hospice of Lansing, 3186 Pine Tree Rd., Lansing, MI 48911. To view Red’s obituary online or to leave a condolence for the family, please visit burkhead-greenfuneralhome.com.